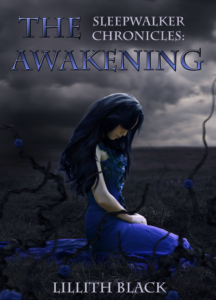 Sleepwalker Chronicles: The Awakening is the first book in the upcoming YA fantasy trilogy. …after all, she sleepwalked out and was the only on to survive. Elizabeth Hawthorne, barely sixteen years old, loses the only family she has ever known and now life throws her on the other side of the country to live with a relative she never knew existed. Her only goal is survive this new life, but she is presented with centuries-old family secrets that reveal themselves in the most unpredictable ways. Her sleepwalking trait turns out to be much more than that and people she meets along the way affect her very nature as she affects theirs. As personal transformations consume Elizabeth’s days and sleepwalking nightmares invade her nights, a bigger, more sinister entity makes its appearance and now Elizabeth’s life and the lives of those around her are in danger. She will have to fully embrace her new self and form difficult partnerships to fight the demons that are approaching and those that are within. You can also purchase an unsigned copy of the book directly from Create Space or Amazon (please note that the special doesn’t apply via these links).